Following the death of Sen. John McCain, tributes have been pouring in from across the globe — touching words, prayers for the war hero’s family, and tweets from senior politicians have been shared far and wide. But one tribute from country music star Brad Paisley has sparked a particularly emotional response. At his concert in Bristow, Virginia, Paisley was coming to the end of singing his hit song “When I Get Where I’m Going,” when a photo of Senator McCain appeared on the giant screens behind him. Instantly, the entire crowd rose to their feet and broke out into applause. Many concert-goers took footage of the powerful moment. 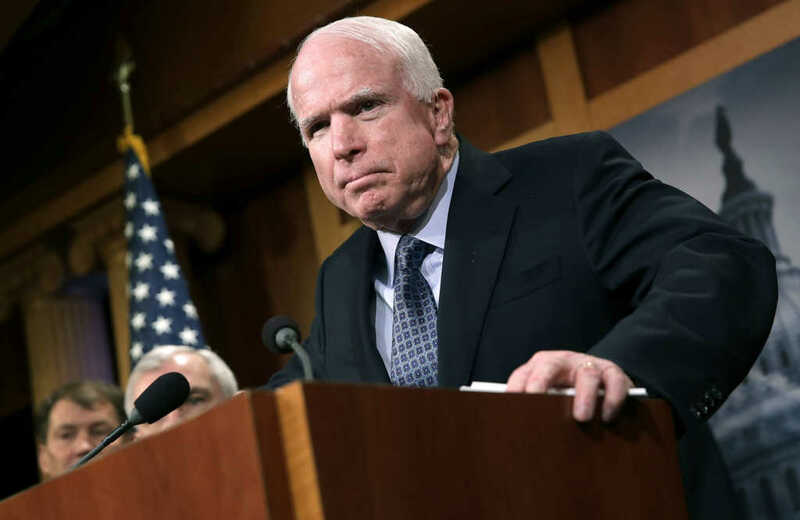 McCain passed away August 25 after battling glioblastoma, an aggressive form of brain cancer. McCain will lie in state at the U.S. Capitol on Friday before a funeral service which will take place on Saturday at the Washington National Cathedral. “Lying in state” is a rare honor bestowed upon a small number of statesmen. Please pray for the McCain family during this difficult time.